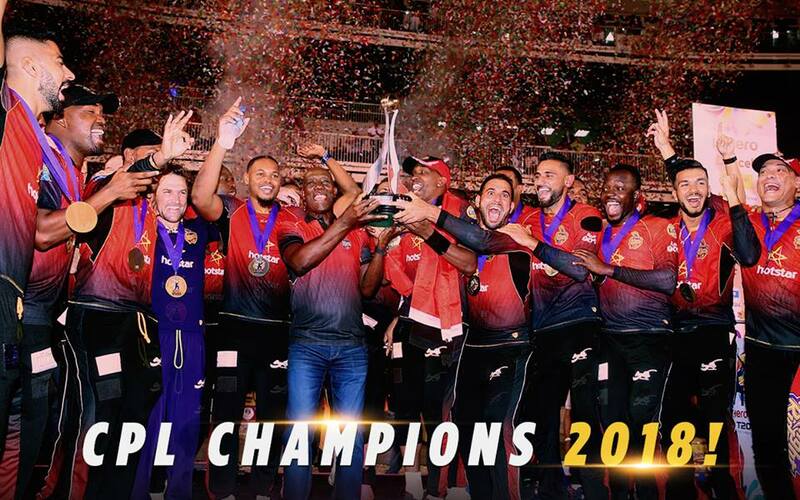 Guyana Amazon Warriors were well behind Trinbago Knight Riders as the defending champions ran out eight-wicket victors in the Caribbean Premier League 2018 final. Trinbago, led by Dwayne Bravo, were supreme in all departments in the final, played at Brian Lara Stadium in Tarouba, Trinidad on Sunday, 16 September. They won the toss, opted to field, and kept Guyana to a moderate 147/9. Then the runs were knocked off in just 17.3 overs as the team from Trinidad and Tobago won the title for the third time. It’s difficult to name individuals in what was a complete Trinbago performance, but Player of the Match Khary Pierre did play the lead in restricting Guyana to a small score with returns of 3/29. All the Trinbago bowlers in action on the day picked up at least one wicket, while Guyana’s best batsman was Luke Ronchi, who hit 44 in 35 balls. It was Ronchi’s 52-run second-wicket stand with Shimron Hetmyer (15 in 11 balls) after Cameron Delport was dismissed first ball by Ali Khan that gave Guyana a little bit of hope, but before and after that, there was little of note. After the break, Denesh Ramdin played the anchor even as Brendon McCullum pulled out the big shots. The two added 52 for the first wicket before McCullum skied Chris Green for Delport to take the catch in the seventh over – the former New Zealand captain hit 39 in 24 balls. Ramdin was dismissed hit-wicket for 24, going too far back to paceman Romario Shepherd and knocking his stumps with his bat, but Colin Munro had settled in by then, and in charge of the chase. Bravo, the captain, came in at No.4 and had scored just four when he pulled his hamstring trying to steal a quick run, but there was no stopping Munro at the other end. At the end of 16 overs, he had 37 from 30, and stepped it up against Rayad Emrit with a four and three sixes in the next over, getting to his sixth half-century for the tournament in the process. He finished it off in the next over by cutting Sohail Tanvir for four behind point to end with a 39-ball 68*, with six fours and three sixes, and the celebrations began. “Thanks to almighty god and thanks to my teammates – to my team, this victory is for Trinidad and Tobago. 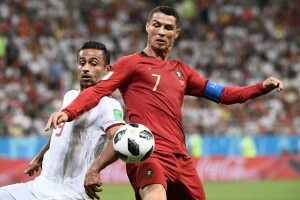 In a tournament like this, you can lose close games but we had the best team and we deserved to win,” said Bravo after the victory. “I am happy with the way our team played throughout the tournament. I think the first ball of the day by Ali Khan set the tone for us. Ronchi got them off to a great start but Pierre showed his courage to come back. Colin Munro put an icing on the cake along with Brendon McCullum. For Guyana, it was a case of so near but so far yet again, their fourth loss in the CPL final, a record that proves they have been excellent over the years, but not the best. Trinbago, led by Dwayne Bravo, were supreme in all departments in the final, played at Brian Lara Stadium in Tarouba, Trinidad on Sunday, 16 September. They won the toss, opted to field, and kept Guyana to a moderate 147/9. Then the runs were knocked off in just 17.3 overs as the team from Trinidad and Tobago won the title for the third time.